Records a little while ago. This CPU has good clock tolerance and SPI is very stable. 2core and 3core are usually fast, but I am in trouble because of instability. 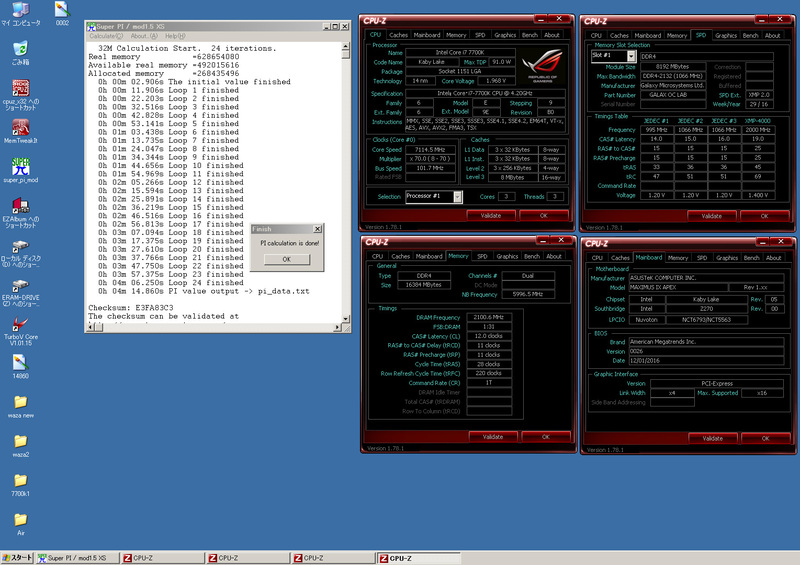 I am forcibly tuning the OS to make it faster even with 4core. 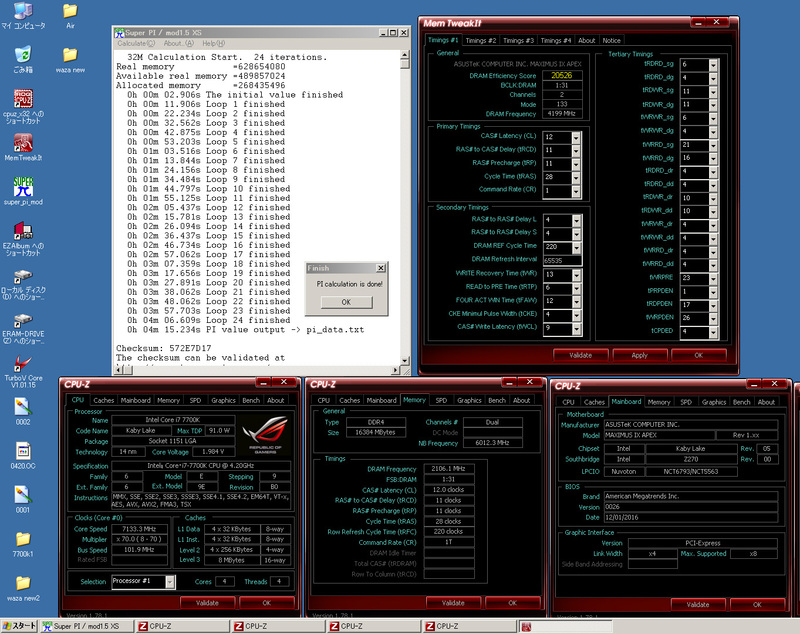 I plan to time attack at 7140MHz. The cache runs from 5900 to 6300, but it is a type of CPU that does not change much. SPI is strange that the Available value and speed depend on the SSD even though with same setting. The latest high performance SSD is not fast, but the SSD with the old performance falling is faster. So I am trying to reproduce recently. The mystery is solved little by little, I also want to try such SSD.